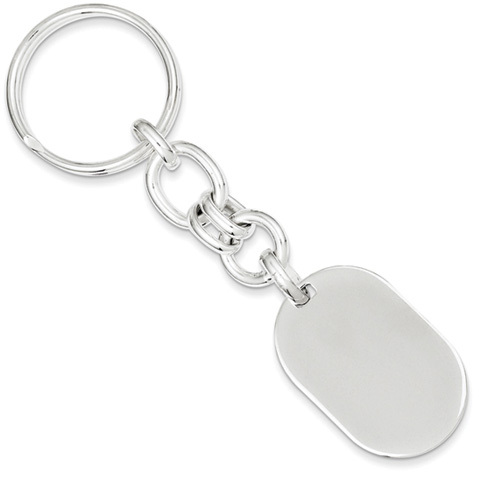 Sterling silver oval key ring has round links. Measures 13/16 inch by 3 1/2 inch. Weight:19 grams.